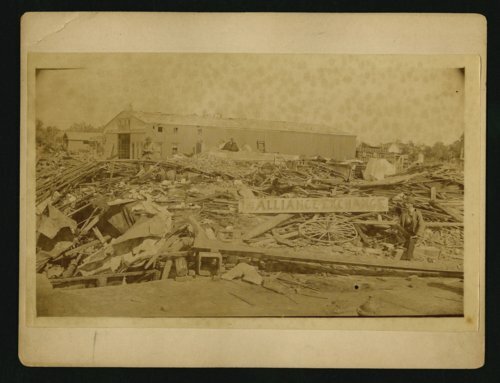 Here are three photographs showing tornado damage in Wellington, Kansas. On May 27, 1892, a cyclone ripped through the heart of Wellington, leaving 17 dead, numerous injuries, and hundreds homeless. The tornado caused $500,000 in damage.